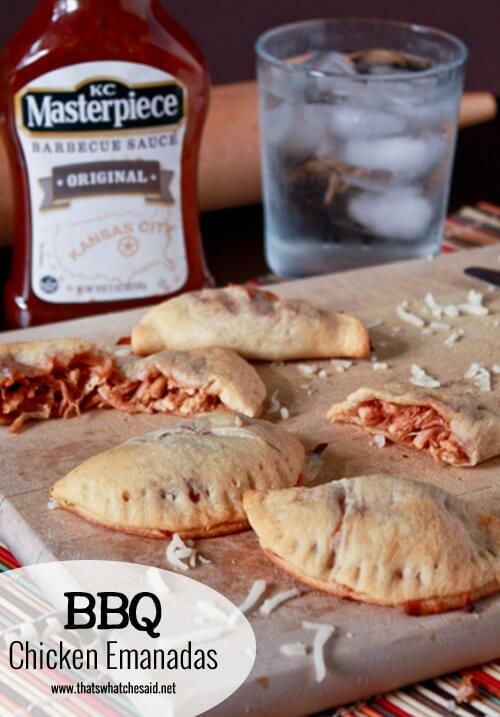 These pockets of BBQ goodness are perfect for a busy summer night when you don’t have much time to prepare dinner! They whip up in less than 15 minutes! BBQ Chicken Empanadas are perfect as an entrée or also as snacks for game night or a party! My kids aren’t the biggest meat eaters! 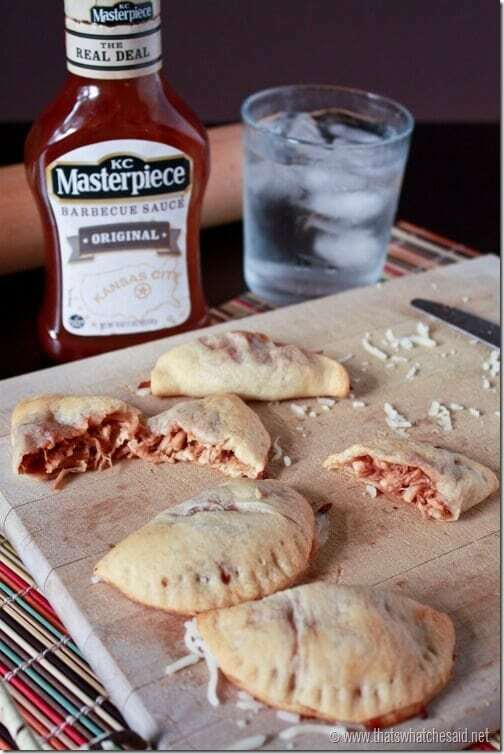 However, you wrap it in a crescent roll and add some BBQ sauce and they act like you just gave them ice cream for dinner! I always have a tube (or two!) of crescent rolls in my refrigerator! Pair the buttery goodness of the crescents with the chicken from a store bought rotisserie whole chicken and you are set! Rotisserie chickens are the best things sold in grocery stores since sliced bread in my opinion! They are seasoned, cooked and delicious and all you had to do was put it in your cart! I love that. 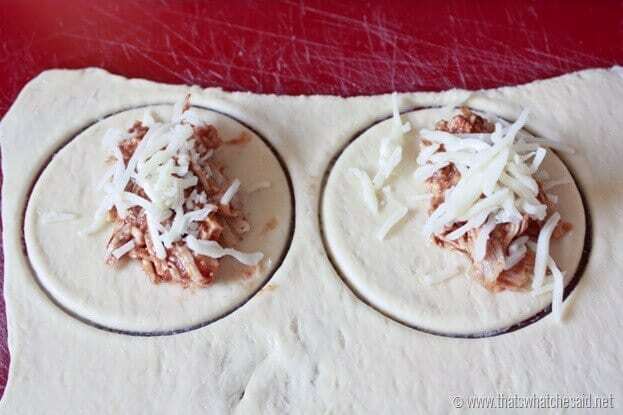 Today I am shredding up the breast pieces, adding my favorite BBQ Sauce and a bit of mozzarella cheese and stuffing that mixture in my crescent dough for the most simple, but most delicious BBQ Chicken Empanadas. I started of by cutting the chicken breasts from the rotisserie chicken and removing the skin. I shredded it, using two forks. Add your chicken to a bowl and next I added my favorite BBQ sauce. I didn’t really measure but you want it to be coated well and then add a bit more. 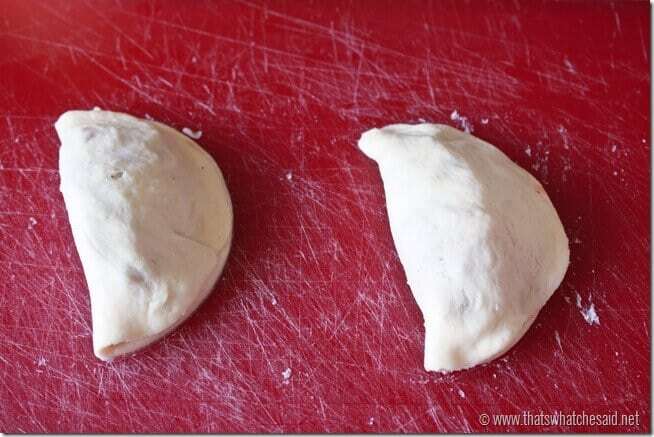 The crescent dough absorbs some of the sauce while baking. Set that chicken mixture aside. Pop open your can of crescent dough and if you are using the triangles, roll it all together pressing the seams together to make one sheet. If you are using the sheets (which don’t have the triangles cut for you) then roll that out so it’s a bit thinner. The sheets come thicker than the triangles do. 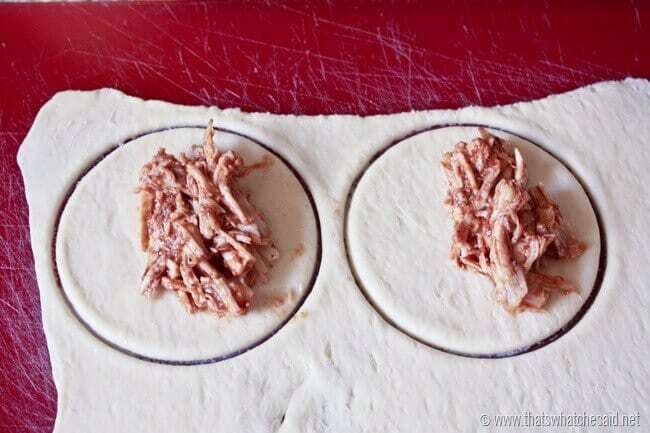 and then folded the dough over and pressed with a fork to seal the chicken in! Repeat with the rest of the dough and the chicken! Bake at 350 for about 9-11 minutes! Watch as they disappear before your eyes! They are savory and filling and super satisfying! Paired with a little extra bbq sauce for dipping, my kids devoured them! Roll out your Crescent dough and use circle cutter to cut circles of dough. Totally agree with you Michelle! I thought “Why have I not been making these for the past 5 years?! ?” Thanks for stopping by! 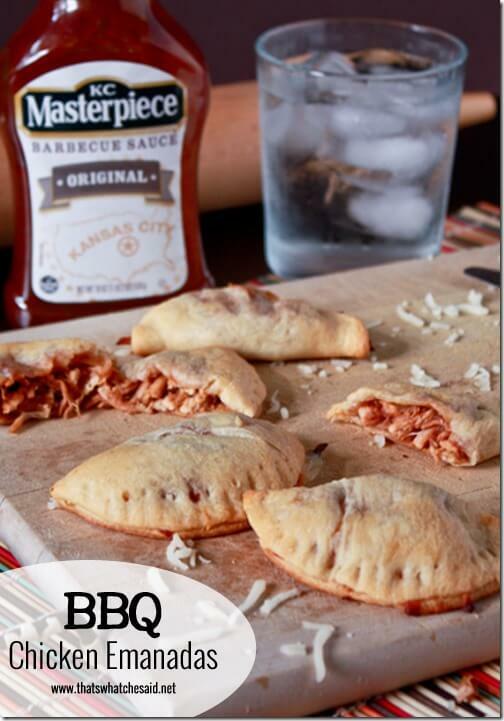 We are huge KC Masterpiece BBQ sauce fans. In fact, my husband puts it on just about everything. He would love these. Can’t wait to make them. Thanks for the recipe!! I’m scared of rotisserie chicken! Ok I just don’t know how to get the meat off the bone. Any tips? I always end up cooking boneless skinless chicken breasts in the crock pot or thaw and poach it. These look so good, and easy to make too! 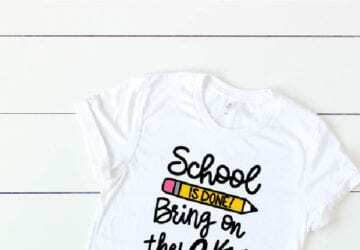 I’d love for you to stop by and link them up with me this week! Oh these look SO good Cheryl! Perfect summer time meal! These look delicious! And easy. Perfect! This is a winning combo for any family. My kids love anything in crescent rolls as well, and they are nearly grown. This looks like a perfect quick lunch or dinner for a family on the go. I can see us eating these on the way to a game. 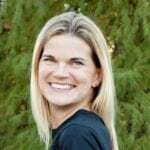 We would be so happy to have you come link with us at our weekly Super Saturday Link party at MadeFromPinterest.net. This is a dinner our readers will love! These are making my mouth water! They would be great to make ahead, freeze and eat later. Perfect for a busy soccer night! 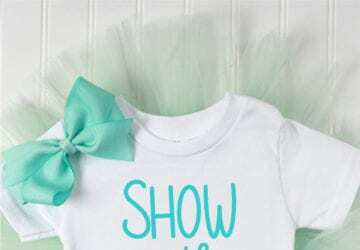 We would love you to share this or any of your amazing posts at our weekly Saturday Show Us How You Rock Link Party. It starts Friday’s at 6pm, hope we see you there! Yum! These look sooo tasty! 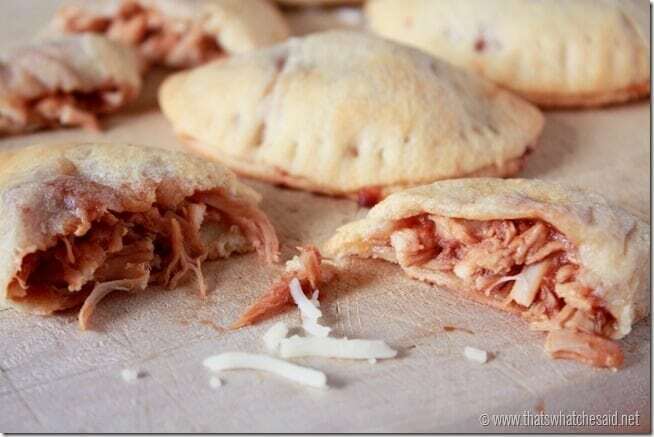 I love empanadas, it’s a staple in my household and my kids and hubby can’t get enough of it! I have to try it with BBQ sauce because your recipe looks delicious and so simple to make! Thanks so much!! I hope you love them!